Finding a good childminder is one of the most important jobs and one of the most stressful. Local Mum Nicola has launched a company that makes the whole process a lot easier. Local Mum Nicola Novell set up her childminder agency�Childminder Provider to help other Local Mums find a good childminder in their area. Nicola, who has worked as a nanny for over six years, says she set up her business after hearing how difficult many Local Mums found the search for good childcare. "I have met many so parents who struggle to find childcare that meets their needs and the needs of their children," says Nicola, who is�trained as a nursery nurse and qualified with an NNEB/CACHE diploma. "I thought there must be a way of helping these parents while making the whole process more straightforward." Nicola's childminder agency places parents with Ofsted-registered childminders. �"Over the last five years, while I have been raising my three beautiful children aged five, three and 19 months, I have gained lots of experience understanding what local parents need from their childminders," explains Nicola. "I have also had the pleasure of meeting local childminders," adds Nicola. "I could see that this would be an area of work that would be very well suited to me." Nicola's professional experience ideally places her for running a childminder agency. "I loved working as a nanny," says Nicola. "It gave me good grounding for raising my three children!" 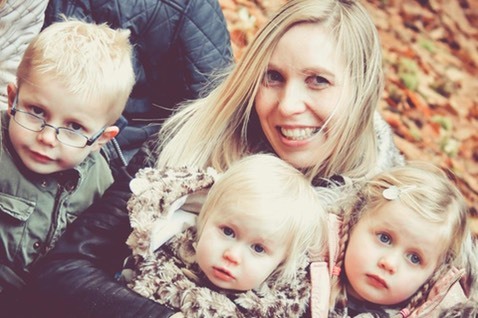 "I have been extremely lucky to be a full time mum to my three children," adds Nicola. "However I also enjoy running my own business, using my agency and childcare experience to match parents and childminders together." "I run a professional and personal service at very competitive rates," says Nicola. 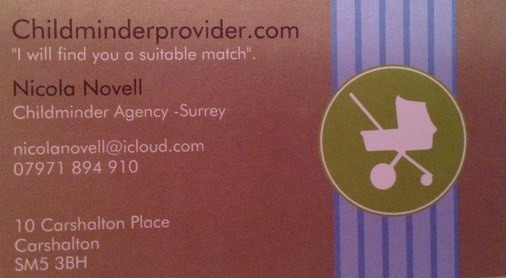 "My aim is to take away the stress of finding childcare and find a childminder that can make you and your child happy. I always believe 'A happy child means a happy parent'!" If you would like a less stressful approach to finding childcare why not give Nicola a call and see if she can find the right childminder for you and your child. Nicola is also currently finding childminders to help local mums cover the Easter Holidays. Read Local Mums' reviews of Childminder Provider.